North Dakota's location in the U.S.
Barnes County is a county located in the U.S. state of North Dakota. 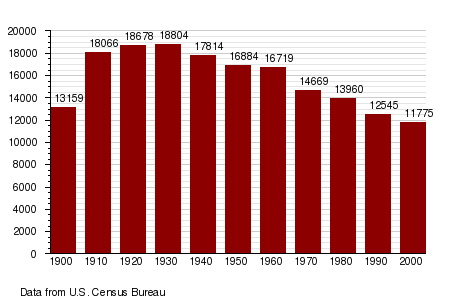 As of 2000, the population is 11,775. Its county seat is Valley City6. The Dakota Territory's legislature authorized a Burbank County (named for governor John. A. Burbank) in 1872. But in 1874 they renamed it Barnes County in honor of Judge Alanson H. Barnes (1818-1890) who was an associate justice of the Territorial Court. It was finally organized in a meeting at Valley City on January 6, 1879. According to the U.S. Census Bureau, the county has a total area of 3,919 km² (1,513 sq mi). 3,863 km² (1,492 sq mi) of it is land and 56 km² (22 sq mi) of it (1.43%) is water. As of the census2 of 2000, there were 11,775 people, 4,884 households, and 3,115 families residing in the county. The population density was 3/km² (8/sq mi). There were 5,599 housing units at an average density of 1/km² (4/sq mi). The racial makeup of the county was 97.91% White, 0.45% Black or African American, 0.76% Native American, 0.19% Asian, 0.12% from other races, and 0.57% from two or more races. 0.54% of the population were Hispanic or Latino of any race. In the county the population was spread out with 22.30% under the age of 18, 11.30% from 18 to 24, 23.00% from 25 to 44, 23.60% from 45 to 64, and 19.80% who were 65 years of age or older. The median age was 41 years. For every 100 females there were 96.80 males. For every 100 females age 18 and over, there were 95.40 males. Note: all incorporated communities in North Dakota are called "cities" regardless of their size. This page uses content from the English language Wikipedia. The original content was at Barnes County, North Dakota. The list of authors can be seen in the page history. As with this Familypedia wiki, the content of Wikipedia is available under the Creative Commons License.